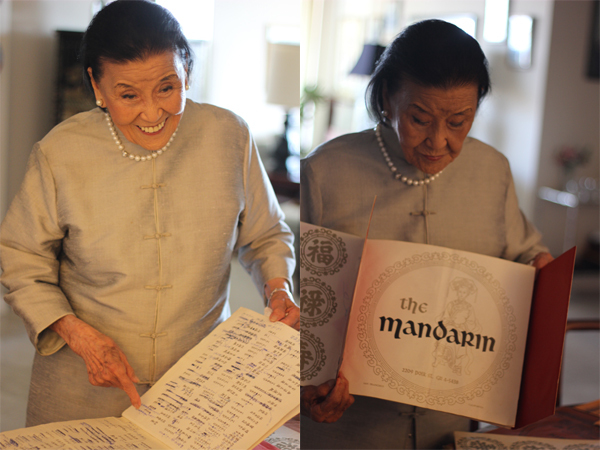 Cecilia Chiang, 95, holds the original menu of the Mandarin Restaurant, which she opened in 1961 in San Francisco. Photos by Momo Chang. 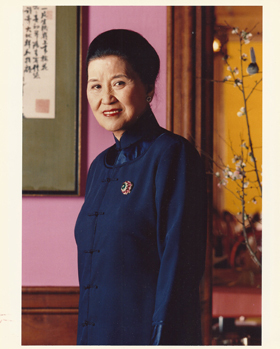 Cecilia Chiang, 95, is a celebrated Chinese American chef and restaurateur, who opened The Mandarin Restaurant in San Francisco in 1961. (Menu items then included an order of five potstickers for $1.00). Chiang received the James Beard Foundation’s Lifetime Achievement Award in 2013 and is best known for bringing authentic Chinese dishes to American palates. Chiang is the subject of Soul of a Banquet, a documentary by Wayne Wang centering around a Chinese banquet Chiang prepares for her lifelong friend Alice Waters to celebrate the 40th anniversary of Chez Panisse. Through this lens, Chiang looks back at her life and some of her family members who remained in China during the Cultural Revolution and how it impacted both her immediate family, as well as Chinese food across the globe. The film is not only a feast for the eyes, but for the heart and soul about one woman who defied the odds. Chiang first opened the restaurant in a small place on Polk Street, and later moved to a 300-seat restaurant in Ghirardelli Square where people like Waters as well as heads of states, rock stars and the Kennedys and Bushes dined. 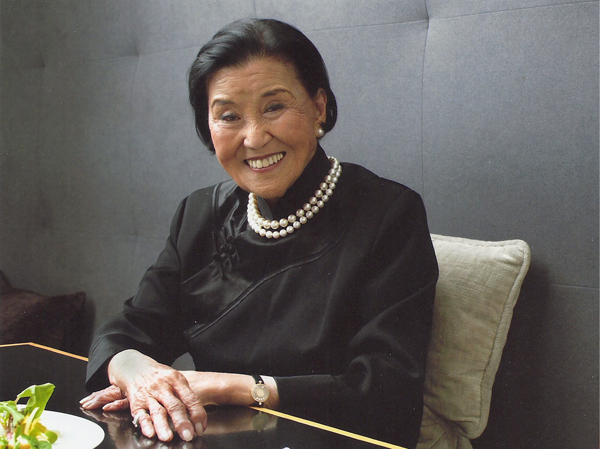 Chiang retired while in her ‘70s but continued to be involved in the food and restaurant world by opening restaurants, consulting and writing cookbooks. Her son is also one of the founders of P.F. Chang. Here, Chiang talks about the banquet, the film, and how she opened her San Francisco restaurant—which later included a Beverly Hills branch—almost by chance. Cecilia recalls Wayne Wang visiting The Mandarin in the early ‘80s. He said, “I heard you have a very famous restaurant, The Mandarin. I also heard it’s quite expensive. I don’t think I can afford to go.” Because that time, he just started shooting. I said, “You can come, it’s not really that bad.” He said, “Do you have man tou (steamed bun). I really miss the man tou.” I said yeah, “I can especially make you some man tou.” I have a pastry chef who knows how to make jiao zi (dumplings) and man tou and also bao bing (savory Chinese crepes). Because Northerners, we eat a lot of food made of flour. So I invited him over many times. He loved it. Then we had a lot of mutual friends like Alice Waters, [documentary producer] Sue Yung Li. Cecilia Chiang on making the banquet for the 40th anniversary of Chez Panisse. A few years ago, Chez Panisse celebrated their 40th anniversary. So anyway, Alice and I, we’ve been friends for a long, long time. Right after I moved to Ghirardelli Square—1968—from Polk Street. My first restaurant on Polk, I’d been there a few years, then the place too small so I moved to Ghirardelli Square. So Alice came with [food writer] Marion Cunningham, they came to my restaurant and eat. 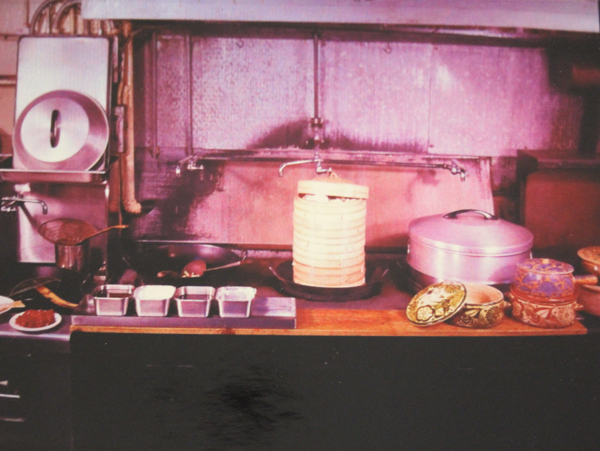 Then 1970s, I started a cooking class in the restaurant in The Mandarin every Tuesday. So Marion Cunningham loved to cook, and she said, “The only thing, I don’t know anything about cooking is Chinese food.” So she came, and then that time, she was with Alice. So Alice also came to my cooking class and also had many dinners at The Mandarin. So that’s how we became very good friends. We traveled in the 1970s and 80s, to Europe, with Marion and Alice. We ate at the 3-star Michelin restaurants. So we became very good friends. When you travel together, you know, you either become very good friends, or if you don’t get along, you become enemies, right? (laughs). Then later, I took Marion and Alice to China. That’s 1984, I took them. At that time, China just kind of opened up. The food really wasn’t that great because not too many restaurants open, and also a lot of ingredients they don’t have. So I took them to Taiwan, Hong Kong, China, Beijing, Guilin, all the famous spots. We spent about a month in Asia. So we became very, very close friends. 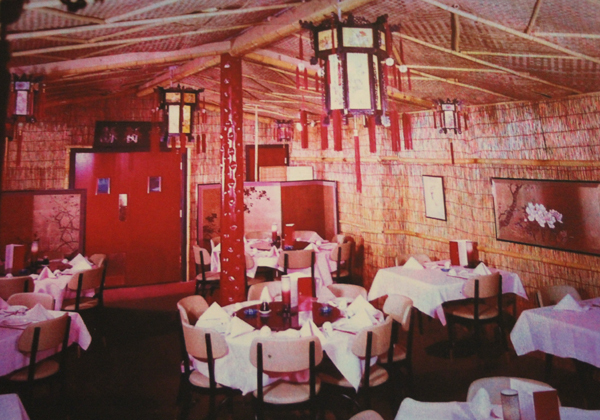 Inside the original Mandarin Restaurant. Photo courtesy of Cecilia Chiang. How she opened The Mandarin restaurant in 1961. I came here from Japan in 1959. At that time, the reason I came here is because my sixth sister lost her husband. I came to visit her and try to keep her company, see what she needs because she just married not quite 2 years and lost her husband. And her husband died of cancer. She lived right at the edge of Chinatown. Anyway, so my sister never cooked. Because in our family, we have 12 children, so we never cooked. We have two cooks. One cook cooks Shanghai style—we are originally from Shanghai. And then my parents moved to Beijing. They want to work with the government. They were very proud at that time, just become the Republic of China. So they all want to do something for the country. We settled down in Beijing. We lived in a very big house. All the children not allowed to go in the kitchen. We didn’t know anything about cooking and food. So nobody—all the children—nobody really know how to cook. We walked down to Chinatown lunch and dinner. Every time I walk in a restaurant, I look at the menu, it’s the same. At that time, they mostly served he tsai combination plate—four dishes and one soup. All the menus are kid of identical. Dan hua tang (egg drop soup), one tofu, one egg foo young, bean sprouts with eggs and chop suey and another chicken dish with some vegetables. Everywhere you go, pretty much the same. You know how much the meal? $3. I said, I asked my sister, I said, “Sophie, is this Chinese food?” She said, “Yeah, this is Chinatown, this is Chinese food.” I said, “Chop suey, egg foo young. We never had this in China before.” She said, “Now we’re American.” I thought it was pretty sad. At that time, I already had a restaurant in Tokyo called Forbidden City. Opened in 1951. We opened that because nobody knows how to cook dinner so I and some cousins decided to open a Chinese restaurant so we can bring the children, friends and family. But we had wonderful, really good Shanghainese food. Cecilia Chiang. Photo courtesy of Cecilia Chiang. But I said, “That’s no problem, I can always get my money back.” I didn’t know by law, if I back out, I can return to you, but if you back out, I have the right to keep this deposit. (laughs). I got stuck. I didn’t know the law, I didn’t know anything. Finally, I try to sell it. Nobody wants it. What am I supposed to do? My husband, my children, they’re all in Tokyo. I’m here, opening a restaurant? That’s really kind of crazy. And I don’t know anybody. I tried to sell it, sublease it. I cannot. So finally, I decided, well, since Chinatown the food is pretty bad, a lot of chop suey, I think I want to introduce real Chinese food to Americans. The small kitchen inside the original Mandarin Restaurant in San Francisco. It would later move to Ghirardelli Square. Photo courtesy of Cecilia Chiang. On the early days of The Mandarin and how it became known in the food world. I know it’s not going to be easy. First thing, my English not that good, second thing, I don’t’ speak Cantonese either. I don’t know anybody. I said, well, I cannot go back and lose this $10,000. It’s a lot of money. So finally, I said, okay, I try my best. So I just changed the décor a little bit. I didn’t have much money left. Just make it workable. Big, old kitchen, used to be another Chinese restaurant before. Very dirty. Tried my best to clean up. But very hard to get a chef because I don’t make Cantonese food. Finally, I put a little ad in a Chinese newspaper. Those days, only one Chinese newspaper. Finally, I get a couple from Shan Dong and the wife make the best jiao zi (dumplings) And also make fresh bao bing (savory crepe) and shiu jiao (dumpling), guo tie (potsticker), and chun juan (egg rolls). Everything from scratch. she make. And the husband do the cooking. One dishwasher, me. We opened the restaurant. Then hired a manager and accountant. I’m the janitor, I’m the go to Chinatown to do the buying. Those days, Chinatown, because I didn’t speak Cantonese, give me a hard time. Everything cash only. They don’t give me any credit, anything. So I make the menu. I have the original menu. Probably about 300 items. But I didn’t know what Americans like or don’t like. I just remembered what I had before in my life and put everything on the menu. Then later, I found out, little by little, a lot of things Americans don’t eat. Cantonese don’t eat. So I just remove it. Little by little. And first two years, very, very hard. Location not that good. No place to park. Another most important thing I didn’t know. Those days, people drink a lot. It’s not wine. Drink cocktails. I remember when I first got here, every street corner have a little glass and a martini. They drink all the martini. I don’t have it because I’m not a citizen, I’m not a permanent resident, I cannot get an ABC license. So he came over here. He brought Herb Caen. He ordered a few things. I served a couple of Szechuan dishes. When they were eating, he kept saying, “Herb, this is real Chinese food. Have you tasted the difference?” Herb said, “Yeah, it’s really tasty, really good.” He said, “What’s this dumpling?” He said, “This is Chinese, called guo tie (potsticker).” So they left. The next day, my phone keep ringing. So busy. And ask for reservation, reservation. I said, “This is so strange. All this time, never been this busy, how come today it’s so busy?” So later, in the evening, the whole restaurant is full. It’s a small restaurant. People waiting, waiting to get in. And also, it’s weekday. They said, “You’re in Herb Caen column, do you know that?” I said, “Who is Herb Caen?” They said, “Herb Caen is the Chronicle columnist, this guy can make you or break you.” At that time, I didn’t know how powerful he was. So this was really a turning point. So the business is getting better and better. Getting the point to where I have to move. From there, then I moved to Ghirardelli Square, 1967. That’s my dream. I’ve been thinking about it. So after we moved to Ghirardelli Square, from 55 seats to 300. Also because you cannot fill a big restaurant like that, we did something very unusual. Like I have real Chinese kao rou (grill). We make our own. Very different. Then I started to serve beggar’s chicken, smoked tea duck, and all the dishes, nobody done that before. And Peking Duck and squab in lettuce cups. Restaurateur Cecilia Chiang is featured in a new documentary, Soul of a Banquet, directed by Wayne Wang. Photo courtesy of Cecilia Chiang. This interview has been edited for length and clarity. Interview by Momo Chang, Content Manager at the Center for Asian American Media.